I’ve always (ALWAYS) known that a real photo was used for the film and I’ve always been fascinated with it and the faces in it for that very reason. As a matter of fact, I even have a framed copy of it in my living room which is always good for creeping visitors out. But who was removed from the photograph as Jack Nicholson was airbrushed in and what did he look like? Whose arm and body is that doubling for Ol’ Jacky Boy there? 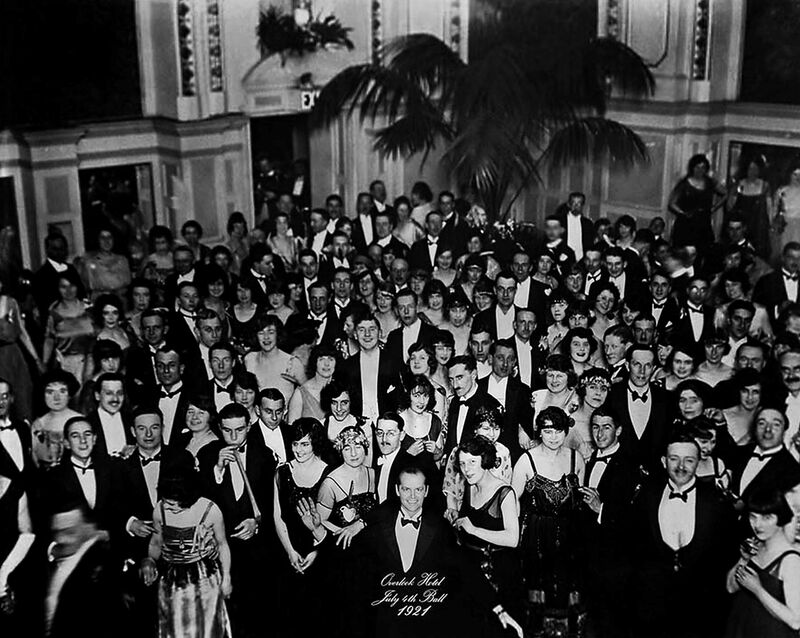 The original, unaltered period photo into which actor Jack Nicholson was composited to create the iconic photograph seen in the final shots of The Shining. 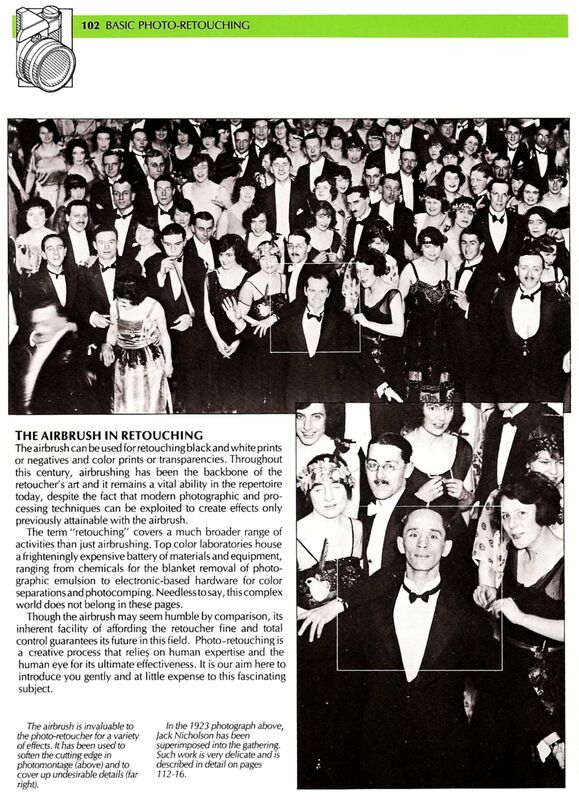 These images were found in a book entitled The Complete Airbrush and Photo-Retouching Manual, which was originally published in 1985. The book also identifies the retouching artist responsible for this work, Joan Honour Smith. 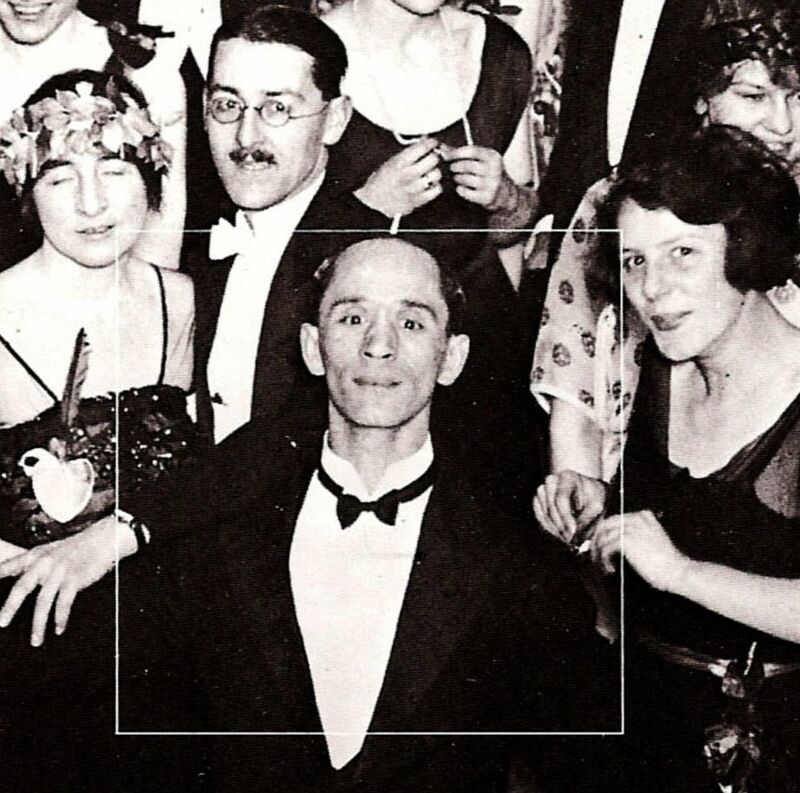 The original photographs of Jack Nicholson are located in the Stanley Kubrick Archive in London, and inspection of them reveals that only Nicholson’s head, collar, and bowtie were used; the rest of the figure is the anonymous man in the original 1923 photograph. 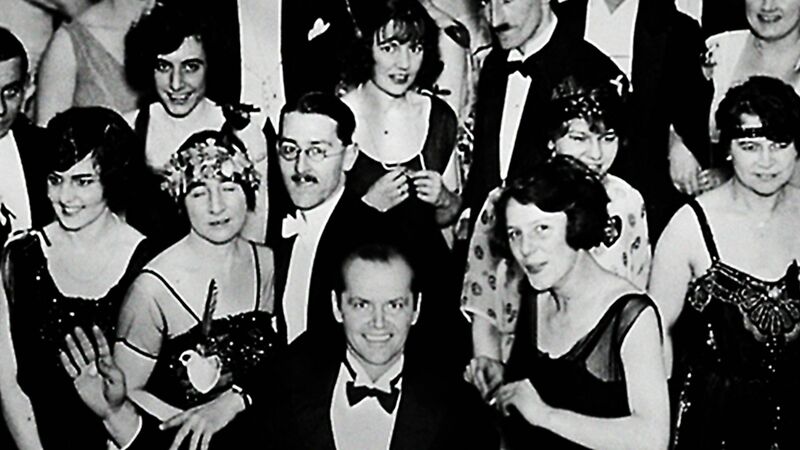 Tags: 1921, Airbrushing, Ball Photo From The Shining, Black & White, Gimmie The Bat Wendy, HEEEEEEEEERE'S...Some...unknown guy from the 20's, http://www.theoverlookhotel.com/, Jack Nicholson, Jack Torrance, July 4th 1921, Midnight And The Stars And...Who?, Movie Trivia, Photography., Stanley Kubrick, Stephen King, The Overlook Hotel, The Shining, The Unaltered Ballroom Photo From "The Shining"